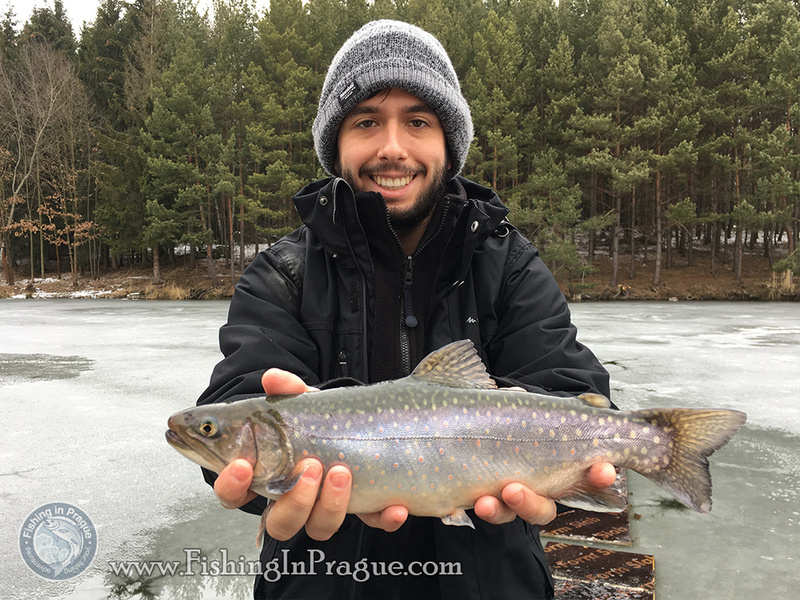 Special features of a fishing day:That was an amazing day with many brookies! 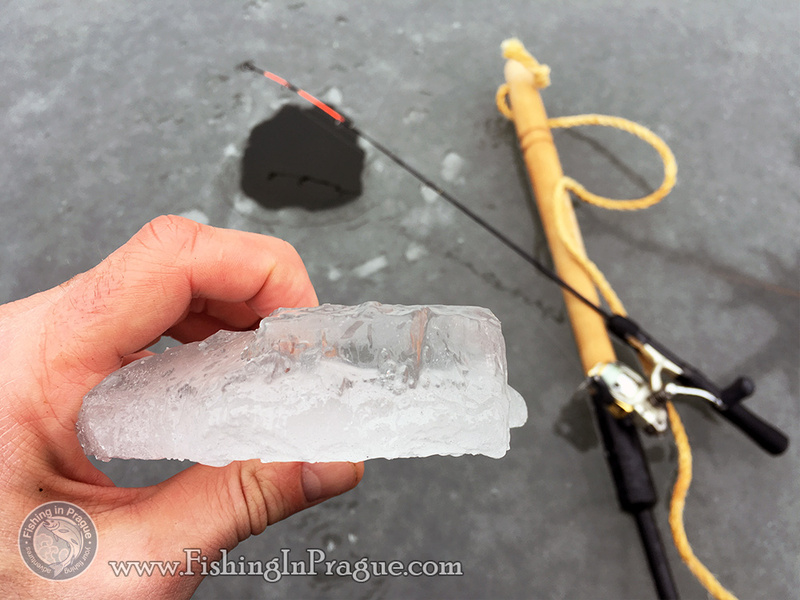 Frankly, I was tormented by doubts just yesterday, because instead of the promised frost -15 C the whole week stood -5 C, so the ice formed very thin, only 4-5 cm, and soft because of snowing on Wednesday. 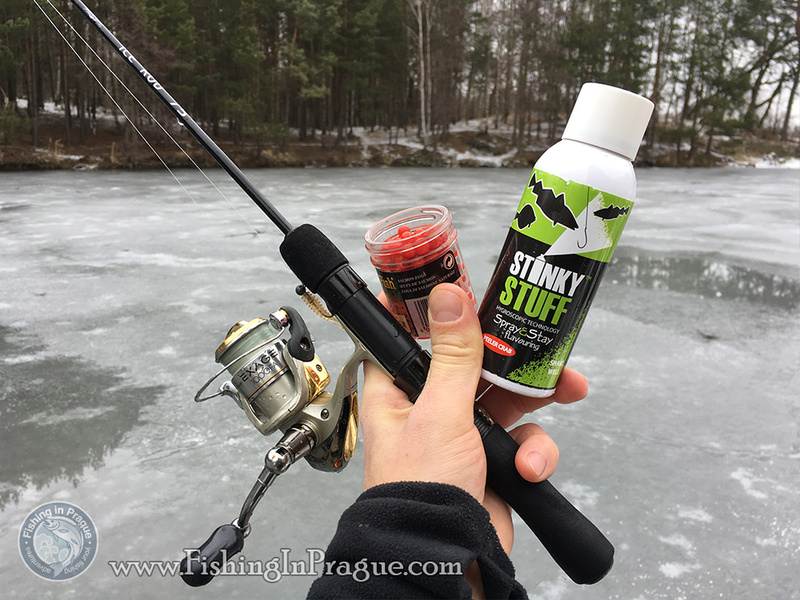 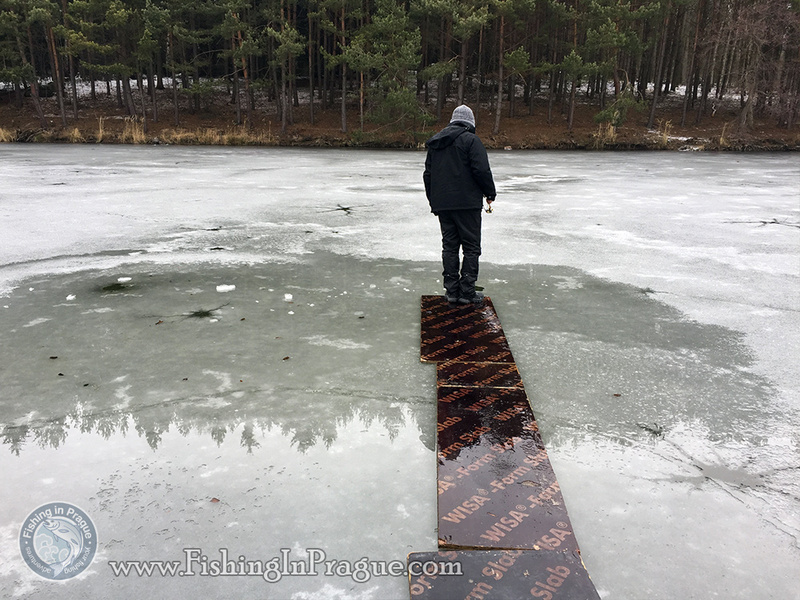 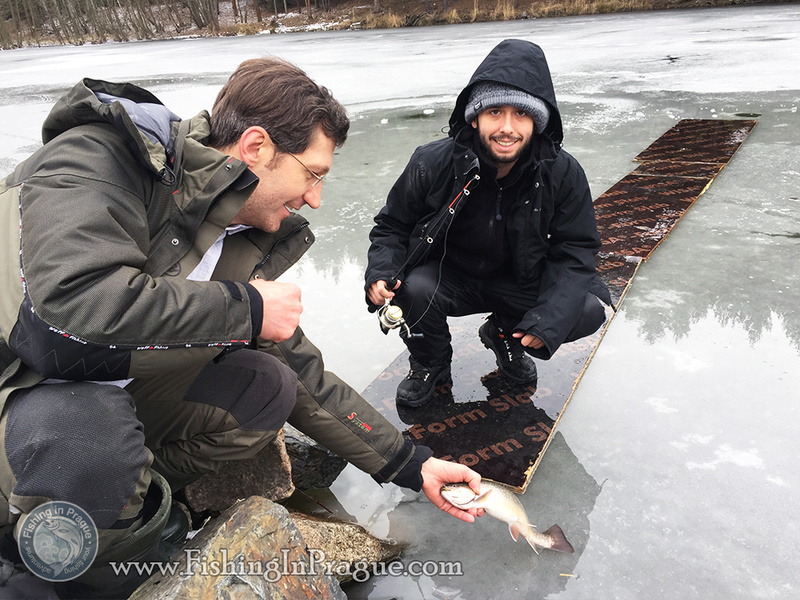 Crawling on the ice like a snail under its threatening cracking, I decided not to risk the health of my client, who expected to try first time in his life ice fishing, and brought the boards, which created the bridge from terrestrial to aquatic civilizations. 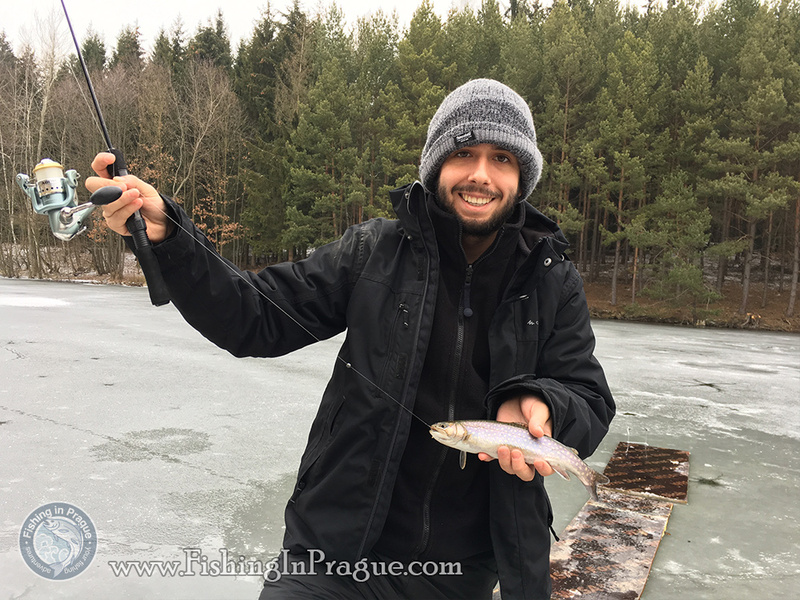 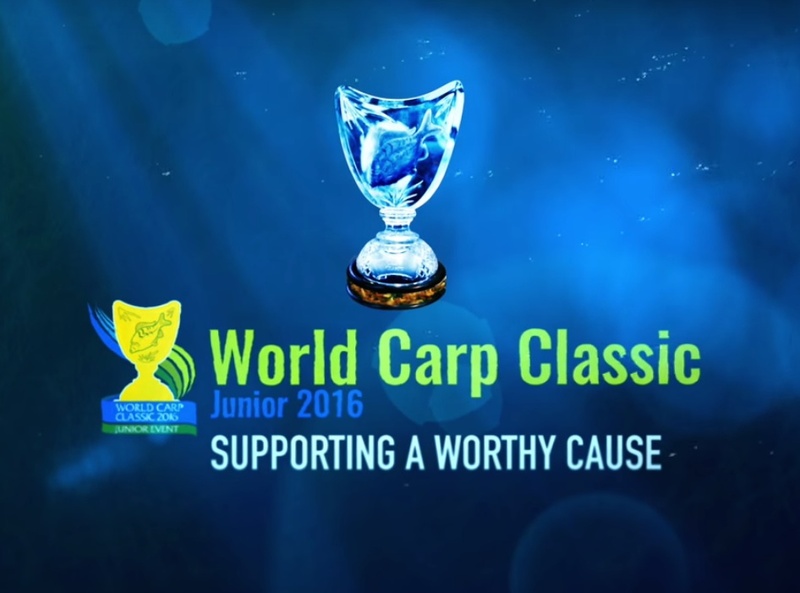 The fish, fortunately, turned out to be active, and the little tricks of the experienced fishing guide took several approx. 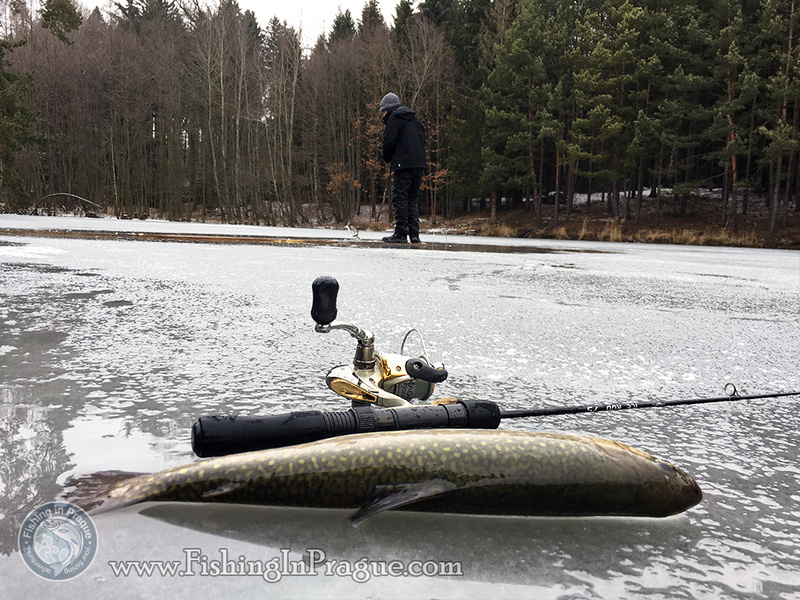 700-800 grams brookies on the ice. 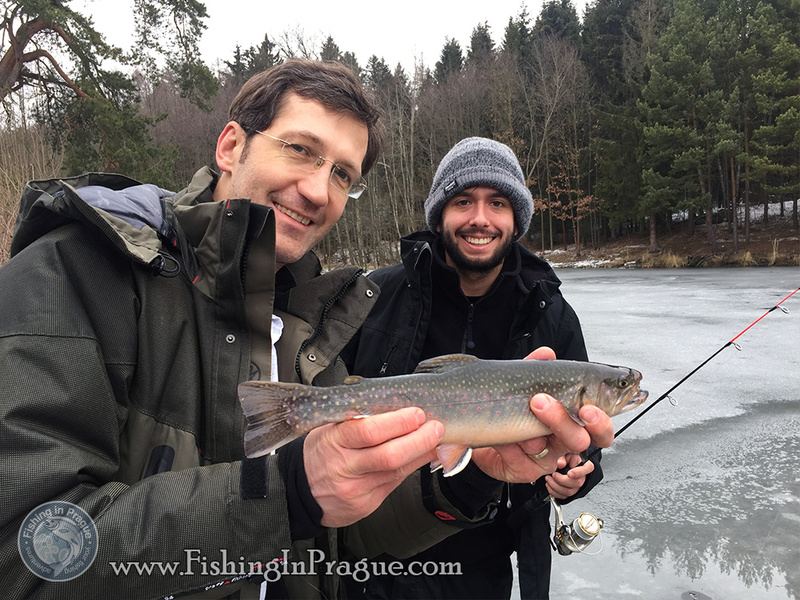 After successful fishing the lunch in a nearby brewery went just fine!